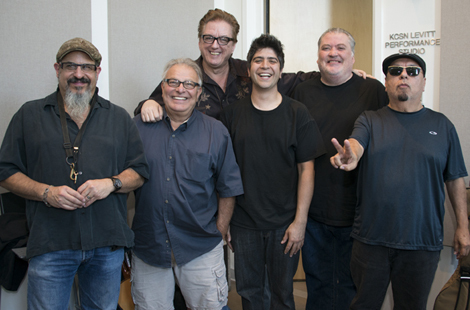 Los Angeles music icons Los Lobos stopped in at CSUN’s KCSN to celebrate the launch of Southern California’s first Latin Alternative station. Read more about the new station. The second phase of The Suites at University Park will continue CSUN's focus on building community and learning environments for first-time freshmen. Construction kicked off on Oct. 29. Read more about the celebration. Anthropology professor James Snead and a team of students have spent more than a year combing through records to learn more about the flood’s victims. Wed., Nov. 20, 6 p.m. Sat., Nov. 23, 8 p.m. Sun., Nov. 24, 7 p.m. The 12th annual awards ceremony honored 23 volunteers, including recipients of the new CSUN for Life Award, Dean Ed Peckham Award and Dorothea “Granny” Heitz Award for Outstanding Volunteer Leadership. CSUN men’s soccer team placed seven players on the All-Conference Teams. The Matadors led the league with four First Team selections. Chekhov’s darkly comic masterpiece challenges the compatibility of art and love. VPAC Named One of the Best Performing Arts Centers and Theaters in L.A.